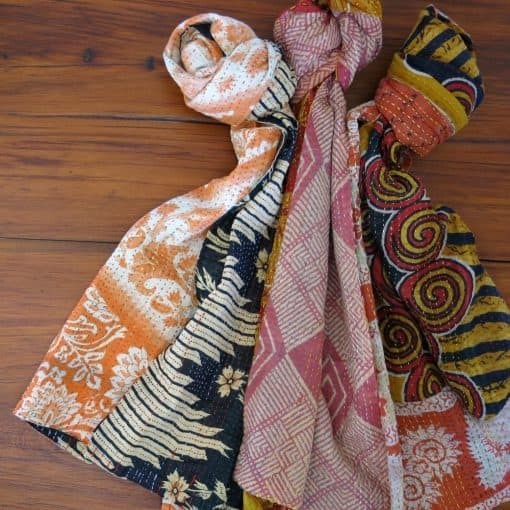 A show-stopping recycled sari scarf, long enough for looping, that’s full of famous Danish hygge – the ultimate feel-good factor! 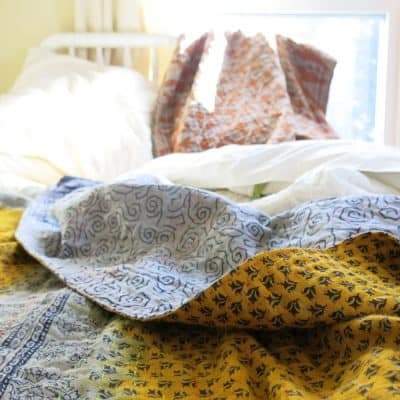 Layers of well-loved saris are quilted together for this cosy, boho kantha scarf. AND, when you’re not turning heads outdoors, lay this exquisite piece down as a recycled sari kantha runner for indoor admirers too. 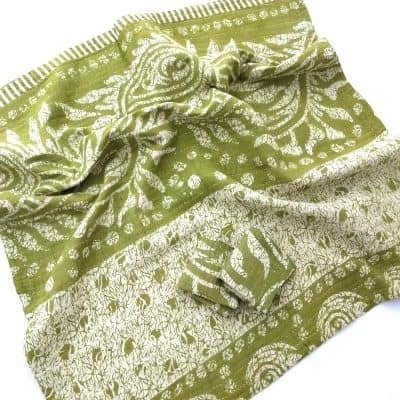 This kantha scarf is skillfully made in the rural areas of Jessore, SW Bangladesh, famous for the high quality needle skills encouraged there. A show-stopping scarf, long enough for looping, that’s full of famous Danish hygge – the ultimate feel-good factor! 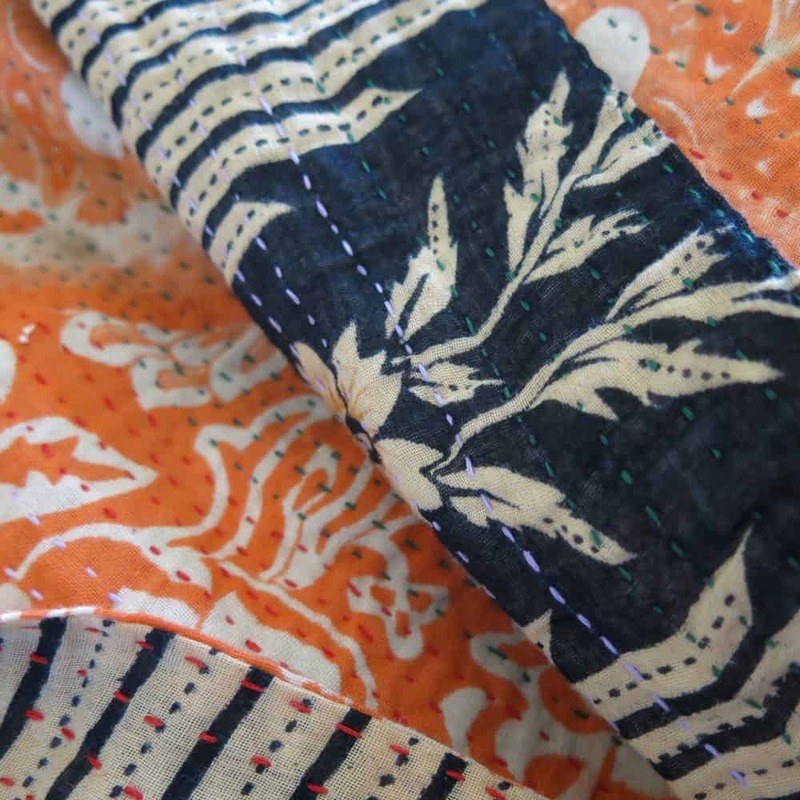 Layers of well-loved saris are quilted together for this cosy, boho recycled sari scarf. AND, when you’re not turning heads outdoors, lay this exquisite piece down as a runner for indoor admirers too. 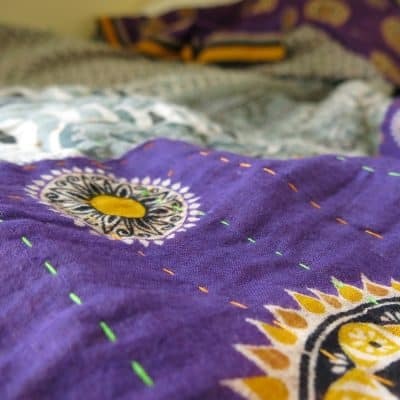 Kantha, meaning ‘rags’, is the ancient tradition of recycling well worn, vintage saris into beautiful throws for family use and special celebrations. Using a simple all over running stitch, recycled saris are quilted together. 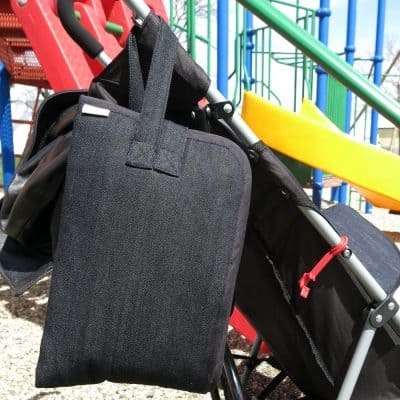 The layers of soft, worn cotton give a huggable feel and look to every item made from this carefully crafted fabric.